This October was pleasant temperature wise. Since temperatures were still in the 40s (5oC), I saw no reason to say good bye to some of my summer favorites. 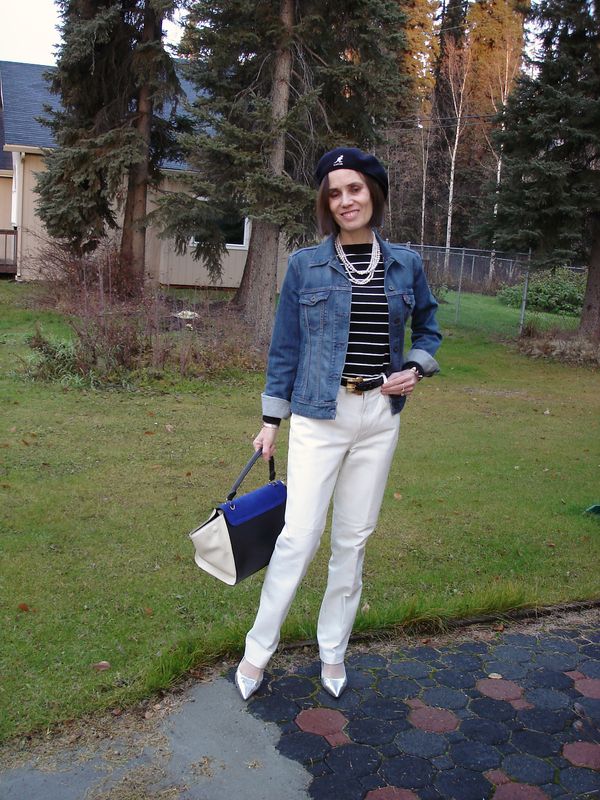 Thus, I wore my white leather pants with a nautical sweater and a jeans jacket. 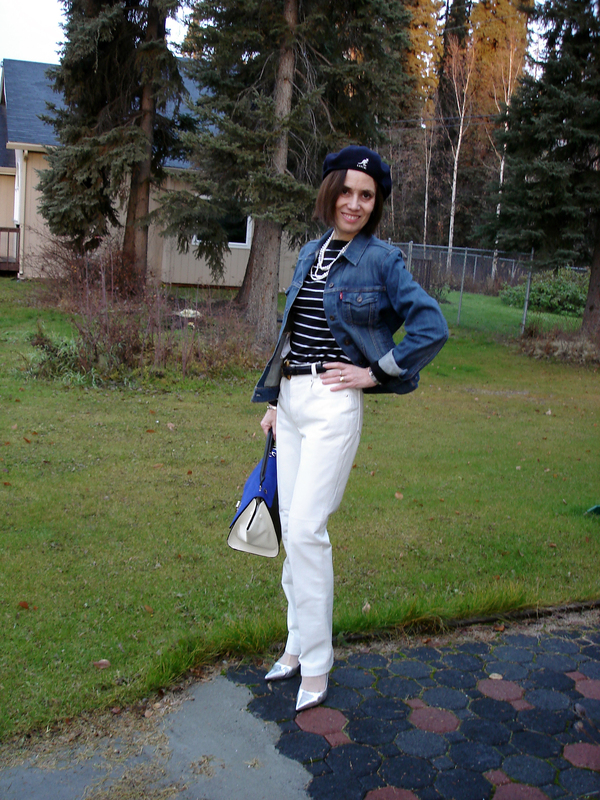 Do you try to wear your summer clothes as long as possible into the fall? How do you style them fall appropriate to stay warm? Let me know by sending me an email. I am curious.